Leeds United custodian Bailey Peacock-Farrell has insisted that he had always known that a new goalkeeper would arrive this summer, and therefore the arrival of Jamal Blackman was not surprising for him. The Whites signed the 24-year-old on a season-long loan deal from Chelsea after the departure of Felix Wiedwald for Eintracht Frankfurt. 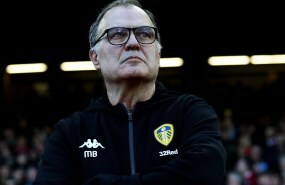 The arrival of Blackman complicates things for Peacock-Farrell, who now knows that he will have to start from scratch to impress new head coach Marcelo Bielsa and thus make himself the preferred choice for this season. The youngster though insists that he always knew that a goalkeeper would arrive and has already developed a good working relationship with the Chelsea loanee. "I was expecting a 'keeper to sign", the young goalkeeper said at a press conference. "It's one of those things, you've got competition in all places throughout the team. I was fully aware that it was going to happen. We get on really well." The Peacocks have enjoyed a good start to their domestic campaign with a win over Championship new boys Stoke City and the Leeds academy recruit insists that it is good to see the hard work they have been putting in during training being transferred on to the pitch. "It's nice to see hard work paying off. "We were just really pleased that we could translate our methods onto the pitch." Leeds' next match will be against Frank Lampard's Derby County this Saturday.